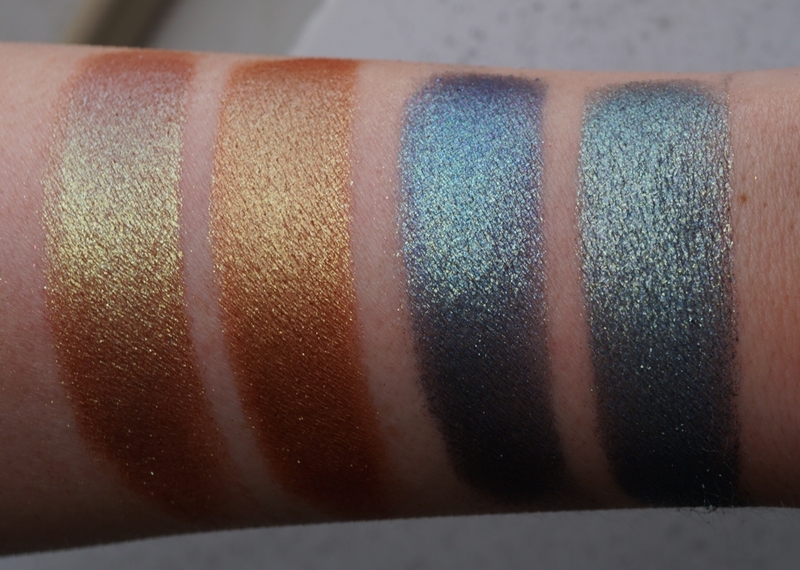 I started with the three shades in the MOONDUST PALETTE that are similar to the TF PALETTE. The next set will all be MD singles. 🔹️TF HOT DAMN! 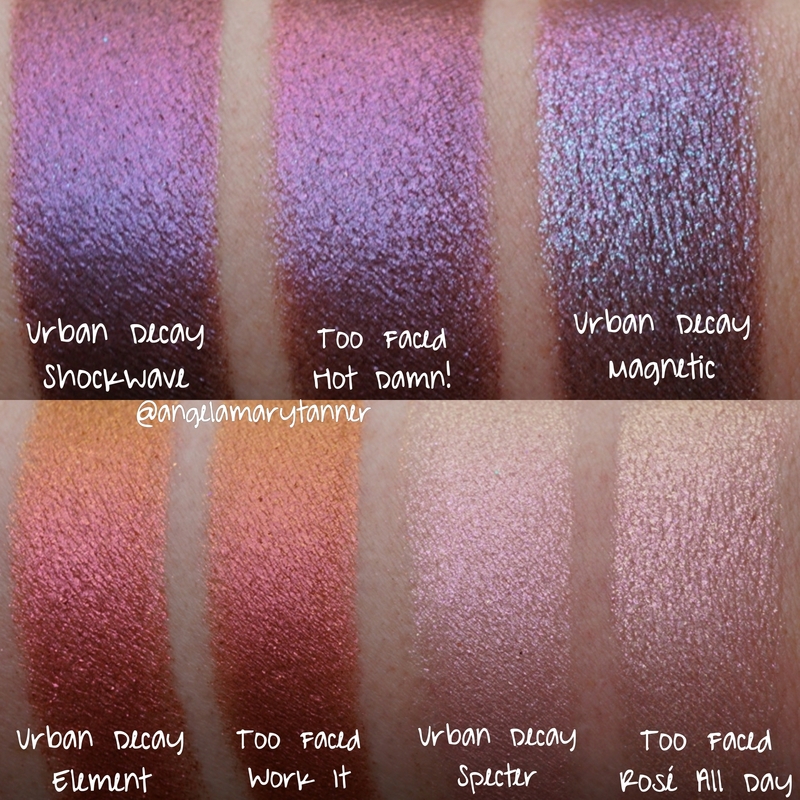 vs UD MAGNETIC and UD SHOCKWAVE- HOT DAMN! 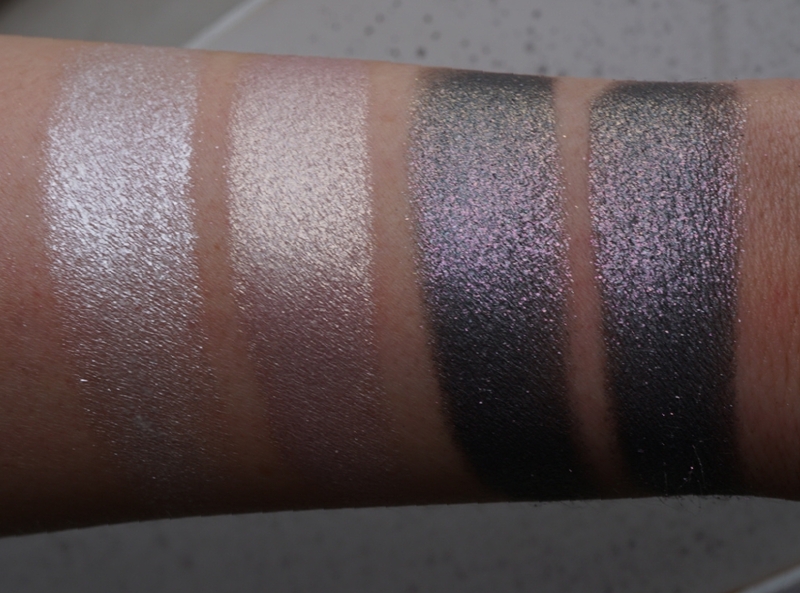 is somewhat similar to MAGNETIC from the MD palette. HOT DAMN! has a strong fuchsia shift and MAGNETIC has blue glitter. I think it’s a lot closer to SHOCKWAVE. The two are nearly identical. MAC ‘CAN’T STOP, DON’T STOP’ and INGLOT ‘120’ PIGMENT are also very similar. 🔹️TF WORK IT vs UD ELEMENT- both are vibrant red coppers with an orange and gold shift. I’d consider them to be dupes. MAC ‘LET’S ROLL’ and INGLOT ’82’ PIGMENT are also similar. 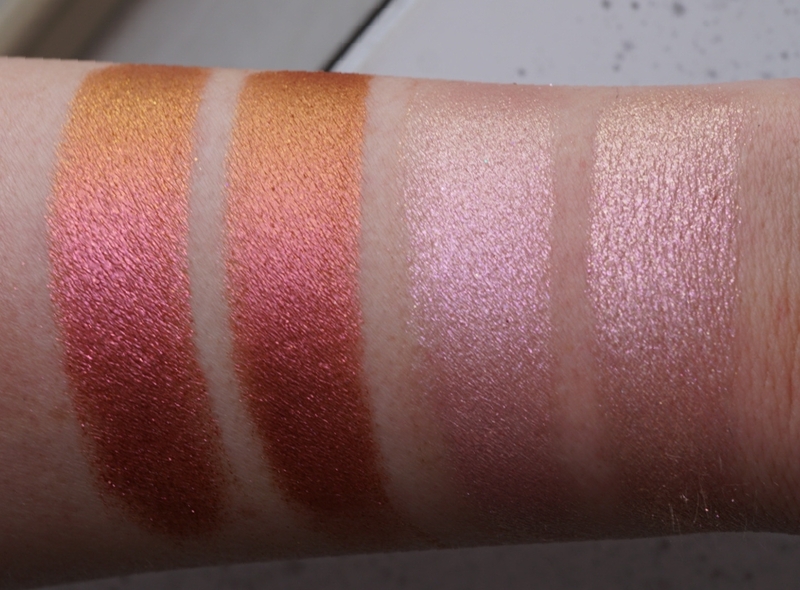 🔹️TF ROSÉ ALL DAY vs UD SPECTER- ROSÉ is slightly more peachy but otherwise they’re very similar. 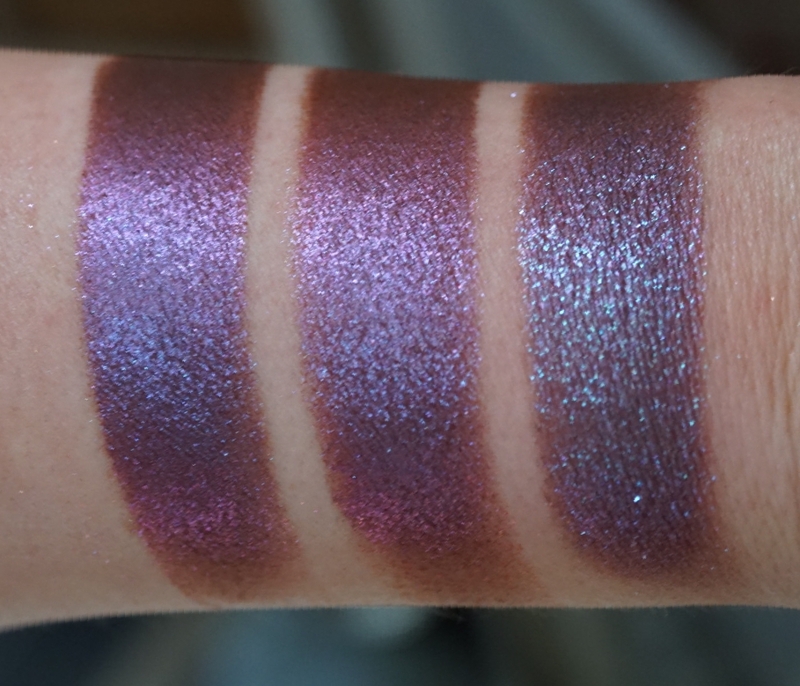 MAC ‘LAST DANCE’ is also a dupe. And part two of our little comparison! The two on the left aren’t really dupes but they’ve got some similarities so I included them anyway. 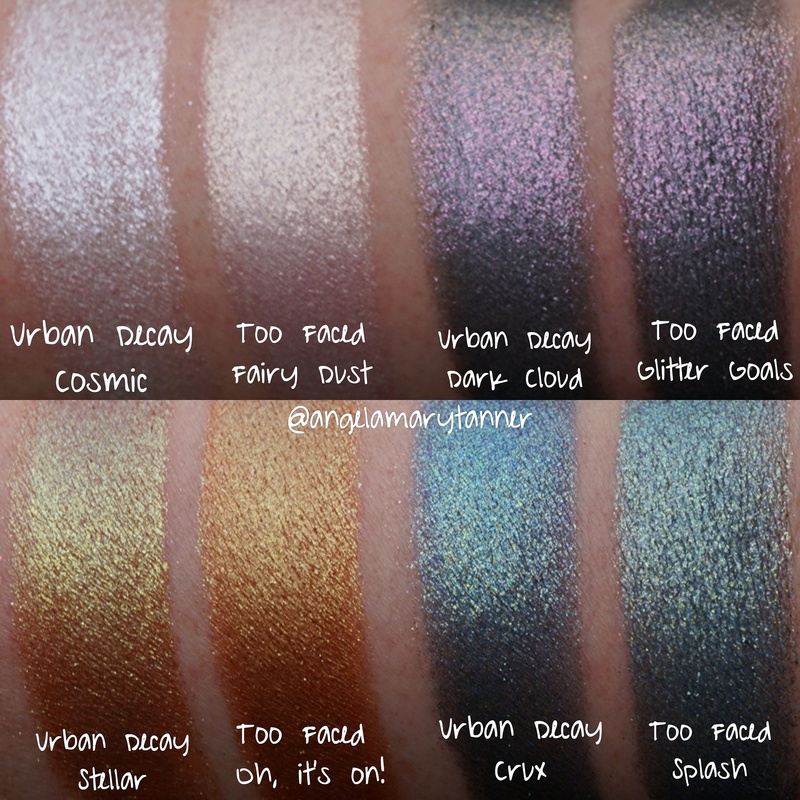 🔹️TF FAIRY DUST vs UD COSMIC- COSMIC is white with mosty silver sparkle. FAIRY DUST is more pink with gold sparkle. 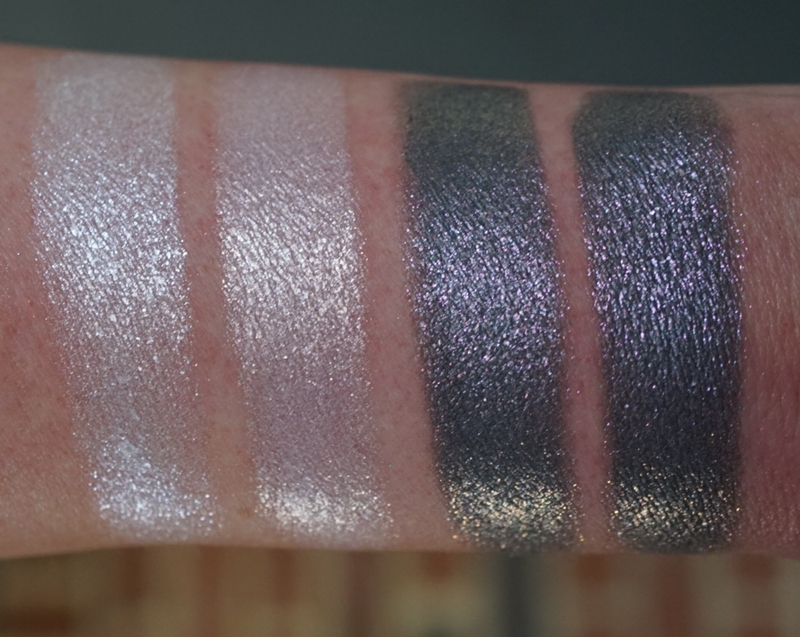 🔹️TF GLITTER GOALS vs UD DARK CLOUD- these are both dark gunmetal grays with pink sparkle. They look identical to me. 🔹️TF OH, IT’S ON! 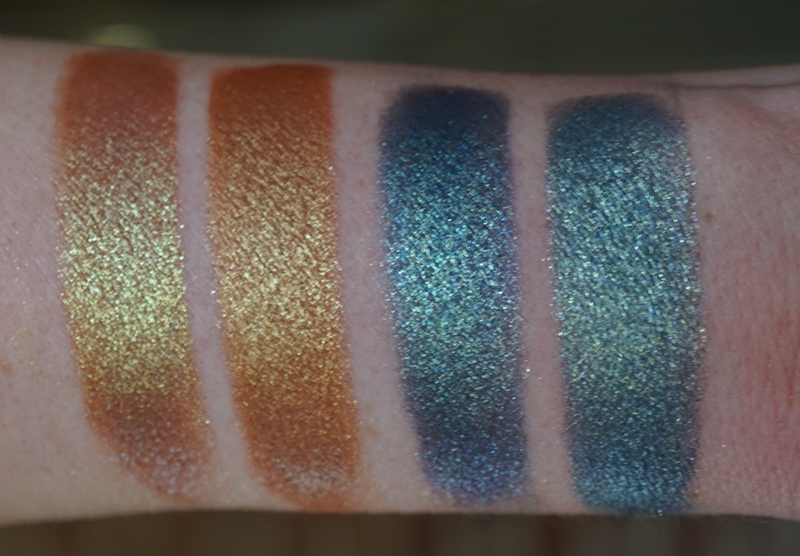 vs UD STELLAR- these are both golds that shift red but STELLAR has a lot of green shimmer. 🔹️TF SPLASH vs UD CRUX- these two are teal blue with green sparkle. They’re pretty similar but CRUX is darker and a little more blue. I’d consider the blues and grays to be passable dupes but the whites and golds are pretty different. 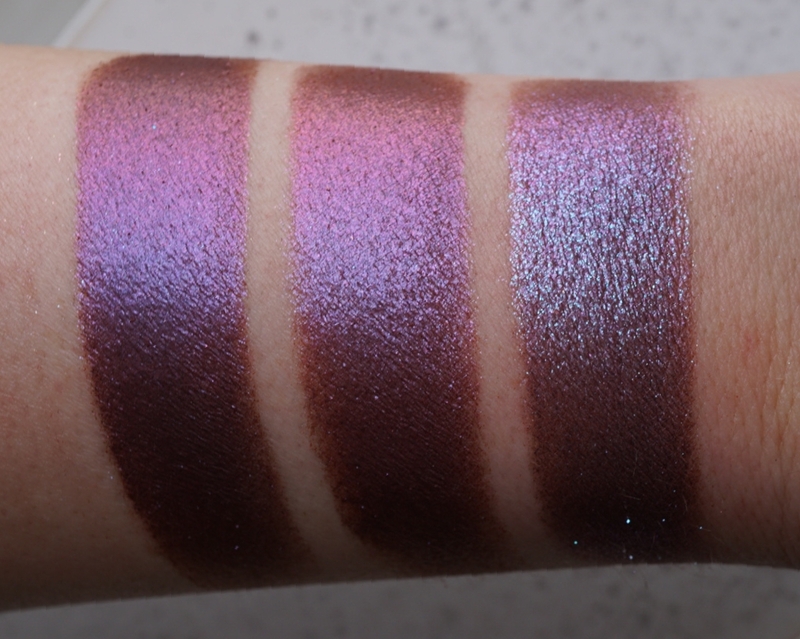 I did a mini review on the GLITTER BOMB palette yesterday, in case you missed it. As long as you don’t mind using glitter glue, I think this palette is a more affordable alternative to the MD shadows which are $21 each.